Carrots have long been one of my absolute favorite vegetables. When most people think carrots, I doubt they think all star veggie, but that’s what they are to me! 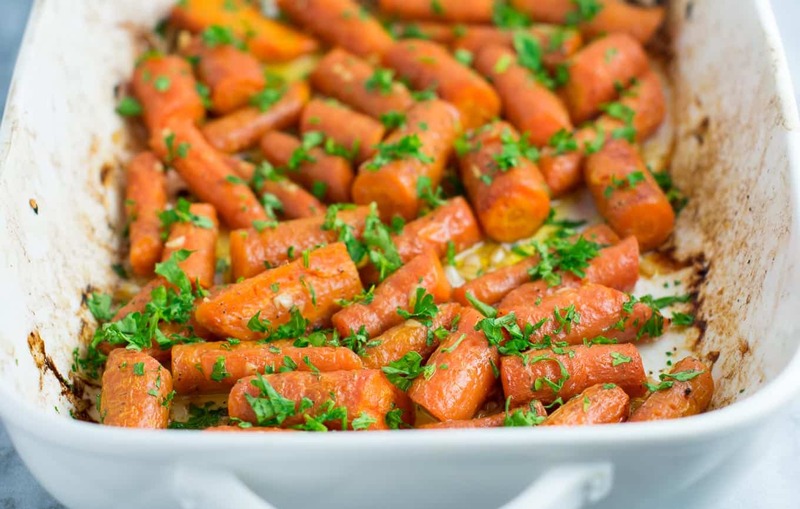 Carrots definitely rank near the top of my all time favorite vegetables, and I usually buy them every week at the grocery store. Back in the day when I used to juice daily, I would often drink 6-8 carrots a day in my juice as a nice natural sweetener to cut the bitterness of the veggie juice. 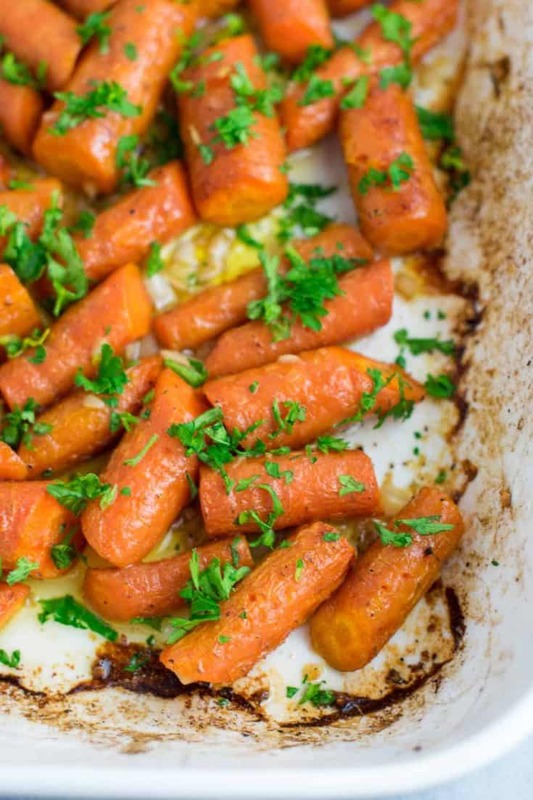 Carrots are so versatile and so delicious. I love them shredded up on tacos, in casseroles, and roasted with butter and loads of garlic for a delicious side dish. 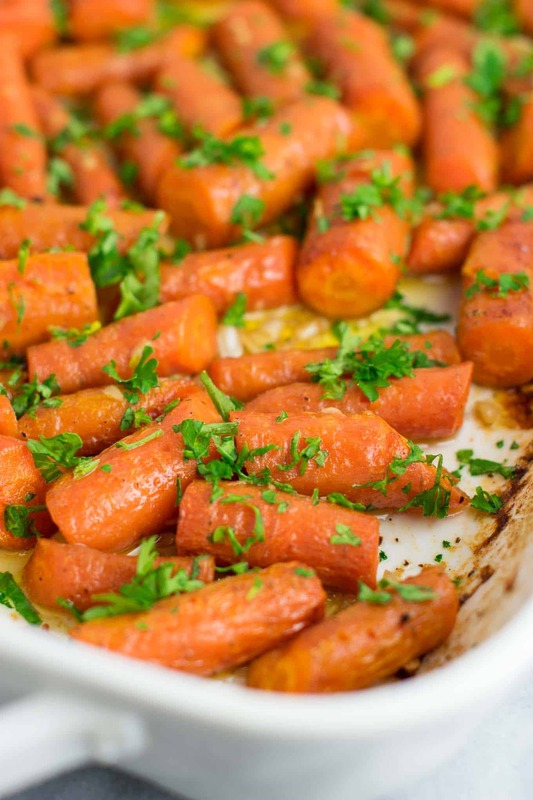 For this recipe, I used a pound of carrots and my husband and I ate them all in minutes. We served it alongside roasted garlic baby red potatoes and barbecue tofu. Honestly I loved the carrots as much or maybe even more than the potatoes. These garlic butter roasted carrots couldn’t be easier to make and are ready for the oven in just a few minutes. Just microwave the butter (or vegan butter) with the garlic until melted, and toss with the cut up carrots and spices and place in a baking dish. Once roasted, I top them with chopped fresh parsley for that extra kick of freshness and flavor. I’m seriously drooling over these pictures and craving these again. I would eat a whole dish of these by myself they are so delicious. I know what I’ll be making for lunch today! 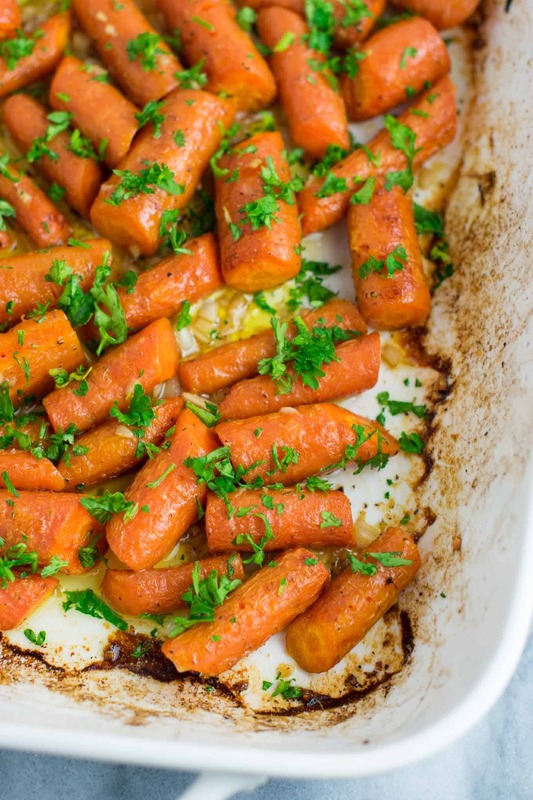 The carrots are tender and buttery and so full of flavor thanks to loads of fresh garlic. This recipe calls for using 8 cloves of garlic. If you’re afraid of that much, you can use less. But I promise the garlic flavor isn’t overwhelming, just insanely good. Try these for an easy side dish to go with your dinner tonight! If you love garlic butter recipes, be sure to also check out my roasted garlic butter mushrooms! 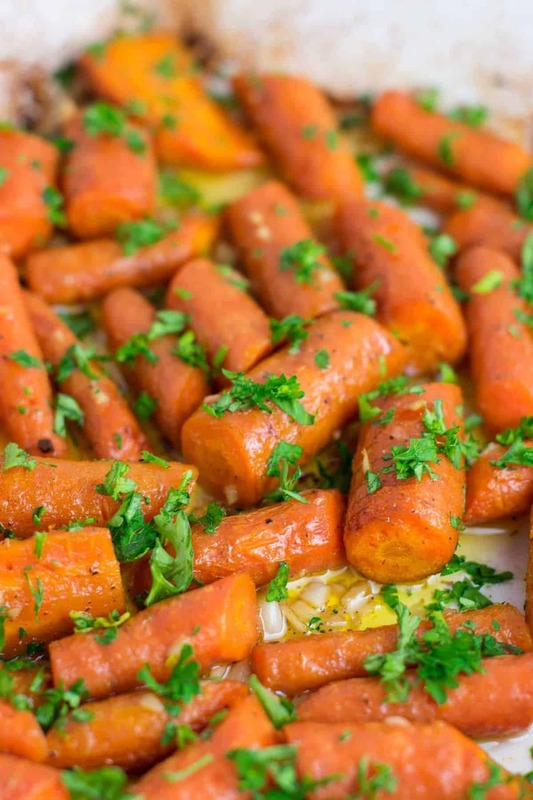 Garlic butter roasted carrots recipe with fresh parsley. A delicious vegan friendly side dish recipe that will disappear in minutes! Awesome! So happy to hear you enjoyed the recipe!